ANF, ÛRMIYE – The Iranian regime continues executions of prisoners despite all the appeals and objections raised by Amnesty International and many other human rights organizations. Yesterday, Amnesty International reported that Bêhrûz Alxanî, a 30-year-old man from Rojhelat (eastern Kurdistan) minority was transferred out of Ûrmiye prison’s general ward and placed in solitary confinement in preparation for his imminent execution, despite the fact that he was still awaiting the outcome of a Supreme Court appeal. According to information provided by local sources, Bêhrûz Alxanî and five ordinary prisoners have been executed in Ûrmiye city of Rojhelat this morning. While Bêhrûz Alxanî’s family was granted a last visit earlier yesterday and was told by prison officials that the execution would be carried out the next day, families of other prisoners had also been waiting outside the prison since yesterday demanding the halting of death penalties. Following the executions this morning, bodies of Alxanî and other five ordinary prisoners were handed over to their families. Kurdish political prisoner Bêhrûz Alxanî, born in Selmas in 1985, was arrested in January 2010 and held in solitary confinement apparently for more than a year without access to a lawyer or his family. In 2011, he was convicted by a Revolutionary Court on charges of effective collaboration with PJAK (Free Life Party of Kurdistan) and enmity against God (moharebeh) for his alleged role in the assassination of the Prosecutor of Xoy. He was also sentenced to 10 years in prison in relation to the possession and procurement of arms. His sentence was later overturned by the Supreme Court and sent back to Branch 10 of the Appeal Court of Ûrmiye province for a retrial. The Appeal court however sentenced Bêhrûz Alxanî to death once again. He has appealed the sentence but has not yet been informed of the outcome. 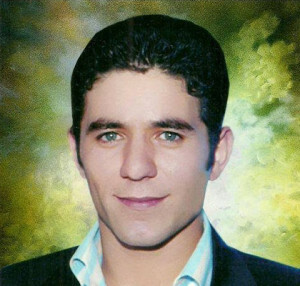 Kurdish political prisoner Sîrwan Nejawî was also executed by the Iranian regime earlier this month after his arrest on 5ht July 2012.